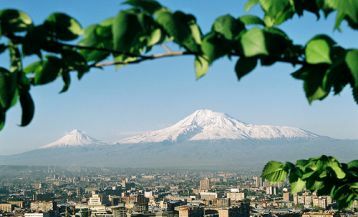 Yerevan – “the city of pink stone” – is amazingly beautiful! At sunset, the city puts on bright colors of neon lights, which give it a gloss and festive mood. During the warmer seasons, especially in summer, the city after dark even more animated. During the warmer times of the year, especially in summer, the city at nightfall is getting even more vibrant and busy. Children and the elderly, young people, locals and numerous tourists, in a word all try to go outside for some fresh air after a scorching hot day. The city center resembles a huge lively cafe, where people spend their leisure time over a cup of coffee or glass of wine. Particularly lively and crowded is at the Republic Square. This is the most popular place in the city, as in the summertime exactly at 21:00 the singing fountains start their work, and people walking around have the opportunity to enjoy the fresh air and the enchanting music coupled with special lighting effects. 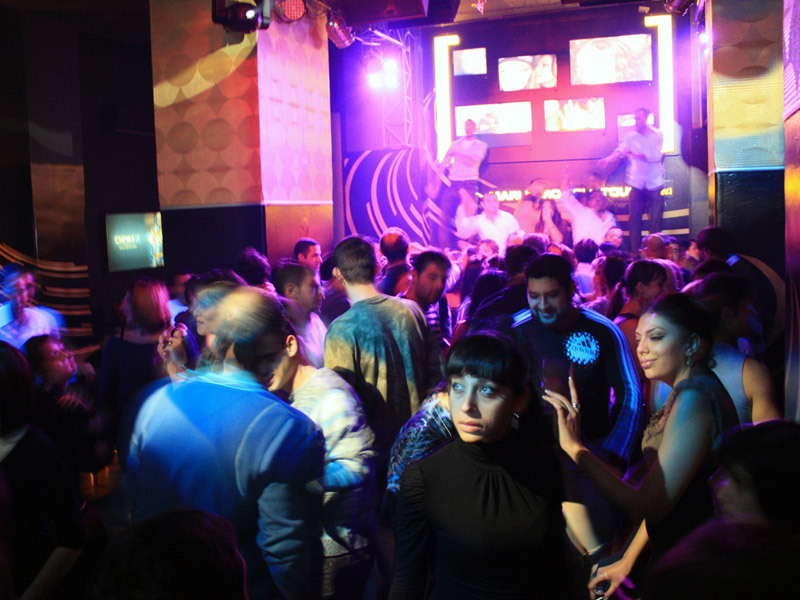 In recent years, the culture of nightlife in Yerevan has moved to a whole new level. Just a few years ago, the venues for spending nighttime leisure were limited to only a couple of establishments comprised of a few karaoke clubs and discos with a specific contingent leaving much to be desired. Now the situation has changed for the better, new venues for spending nighttime leisure with the high level of service, atmosphere and contingent aspire to European standards. 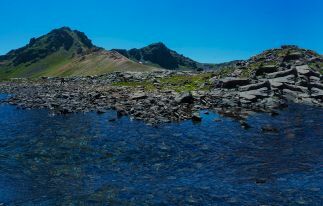 In this article, we offer you to get acquainted with the favorite places of Yerevan residents and guests. 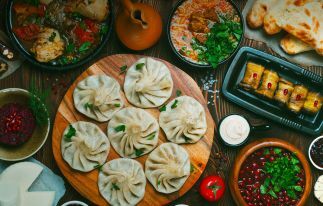 From chic restaurants to cozy art cafés, from wine bars to pubs, from nightclubs to undergrounds – Yerevan has much to offer to the lovers of nightlife and hangouts. Most nightclubs are located in the city center. 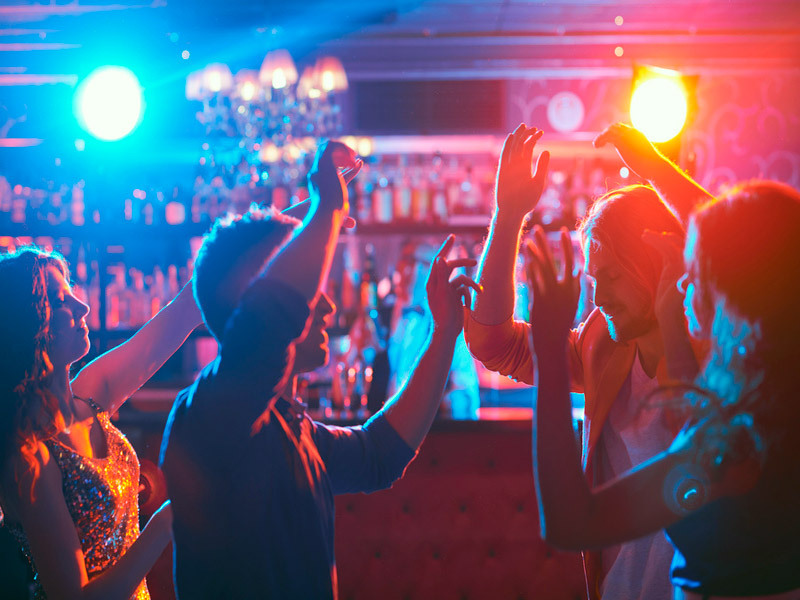 Local bands performing in various genres, ranging from jazz, hard rock to ethnic music are frequent guests in the clubs. On special occasions and events, popular DJs from Europe and Russia are also invited to perform. In Yerevan clubs, there is no strict face control. The dress-code is usually casual and smart-casual. Entrance is usually free, unless there is scheduled a concert or an event. In most clubs, you can order all kinds of alcoholic drinks for every taste and budget, continental cuisine and a hookah. 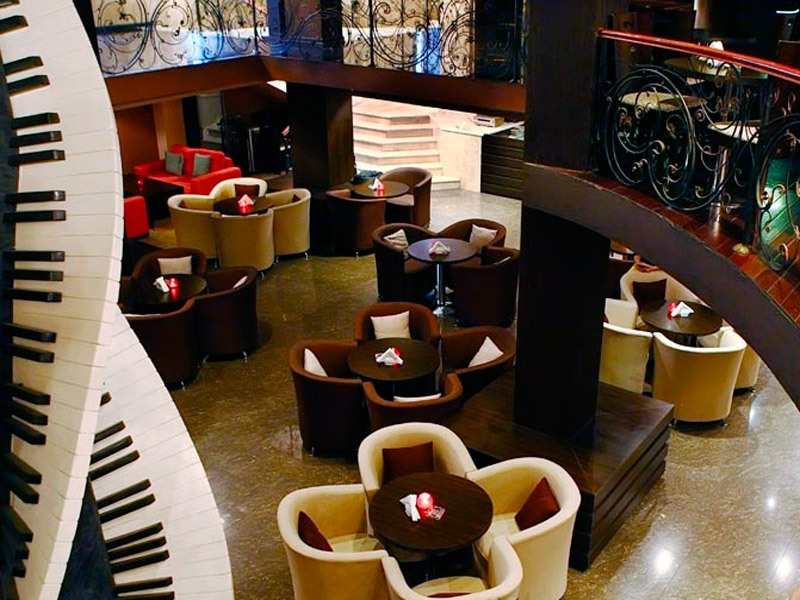 One of the most famous and prestigious places in Yerevan is Mezzo Classic House Jazz Club. In Mezzo everyone can find a music that is close to his heart and soul. 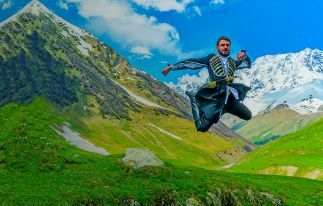 Here perform incredibly talented bands and musicians in various genres: everything from classical to ethnic music. It should be noted that in the case of special events or concerts it is better to book a table beforehand. For those who prefer quiet leisure Mezzo offers lounge areas, where you can enjoy a rich selection of wines and cigars. Comfort, refined atmosphere, and an amazing menu will make your evening unforgettable in Mezzo Classic House Club. 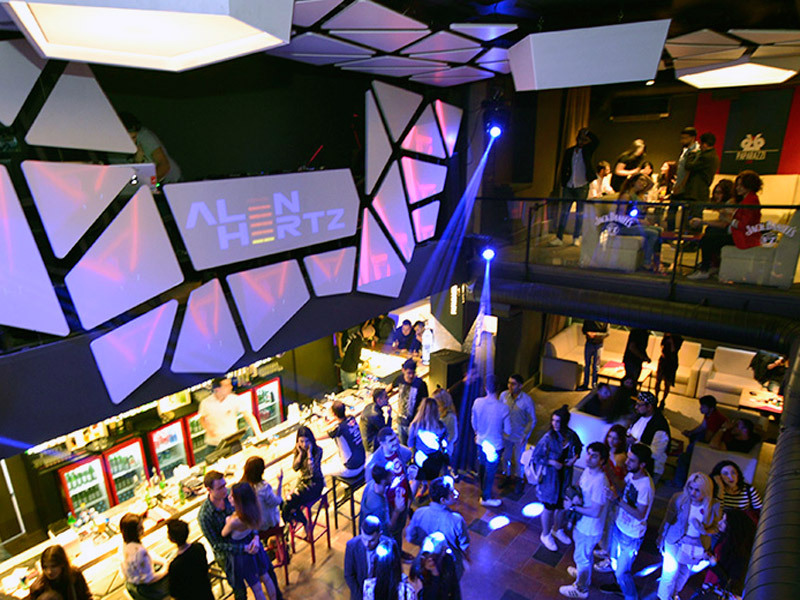 Since its opening, Paparazzi Club attracts local fans of club music and tourists. Paparazzi Club is focused solely on club music in western style. The minimalistic, modern design is perfectly combined with the concept of the club. The club offers a wide range of spirits and cocktails. The average score starts from 3 500 -5000 AMD ($ 7 -10). Paparazzi Club – feel the rhythm of the city! Kami Music Club is a popular venue among local celebrities and guests of the capital. The atmosphere of the club is very sophisticated. The interior is decorated with oriental motifs. Among the club’s frequent performers are local jazz and blues bands, celebrities, and sometimes guest stars of world scale. Along with the quality music, you can enjoy the delicious Mediterranean and Japanese cuisine, a rich assortment of cocktails and a hookah with original flavors. The club often hosts various events, parties, presentations. Kami Music Club is located near the “Moscow” cinema. At the entrance, there is a face control. Kami Music Club opens from 21:00 daily. Calumet Ethnic Lounge Bar is a prodigious club, under the roof of which the cultures of different countries around the world are united and merged. 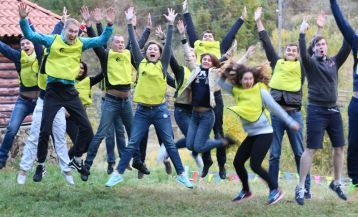 The club organizes concerts of groups with different ethnic and cultural traditions, as well as with various styles of music. The overall atmosphere of the place is very friendly, designed in ethnic motives with elements of Indian art. Despite the fact that the space is quite small, Calumet Ethnic Lounge a friendly atmosphere and peacefulness always reign here. 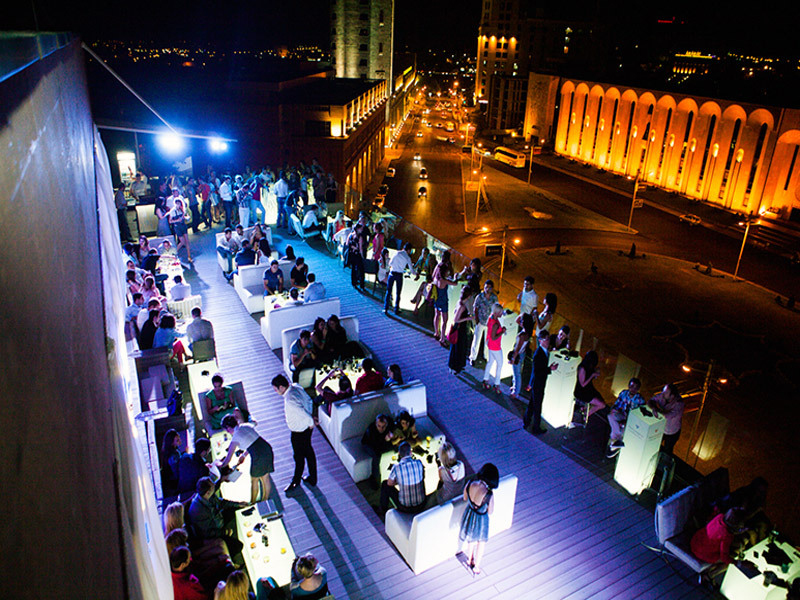 The name already speaks out for itself: if you want to enjoy the spectacular panoramic views of the Yerevan nights, accompanied by only high-quality music, then you should definitely visit El Sky Bar. 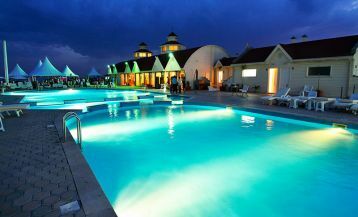 The club is located on the rooftop of “Yerevan Plaza” business center. Every Friday and Saturday there are organized theme parties with incendiary music. Exquisite service and warm, relaxed atmosphere are perfect for any occasion including weddings, private parties, business meetings or corporate events.